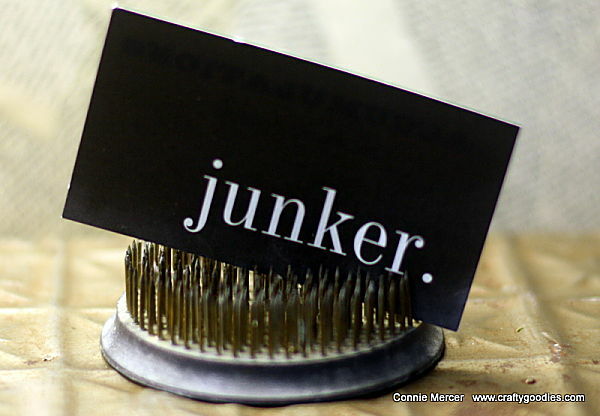 Hi guys~sit back and enjoy the show:):):) This is a junker' post! I would love to RAK this to a good home. If you would like it, leave me a comment saying yes and I hope you will follow my blog for this one and at the end of the day I'll pick a winner and post Saturday morning. I know:):):) $2. Made me smile too!!!! I have much, much more to show you!!! Next week will be Vintage Street Market, JBS, Avocado Arts and Darkroom Door ~looking forward to showing you some re-purposing and some awesome stamps!!! These signs are great fun! 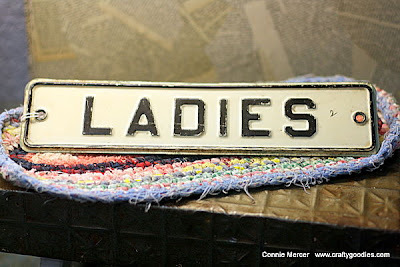 Thinking they would look really neat on my bathroom door! Ohhhhhhhh I am loving all your finds!!!!! I don't need the sign... but I think it's pretty cool looking!!! OH WOW....awesome finds. Now I know why I could only find one frogger floral. LOL!!! look at all those goodies.. love all the frogs and that little kodak film holder.. adorable.. would love to win.. :) thanks for the chance.. I love those frogs. I have a pretty good collection of them too. 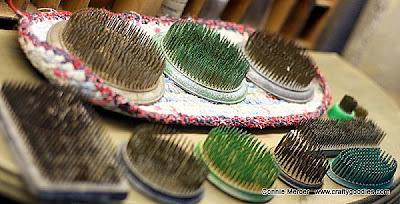 I collected the most of mine about 6 years ago before they became so expensive...I love your picture of them. Love the little kodak canister. 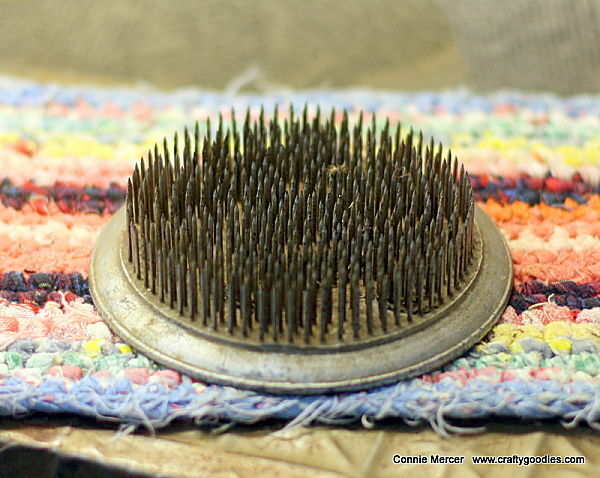 When I seen the picture, I thought wow I would love to find one of those...so now maybe I might win it...love all your little treasures, Connie....It makes me feel a little like I have gone junkin!! Can't wait to see your other treasurers. Those are great finds, Connie. 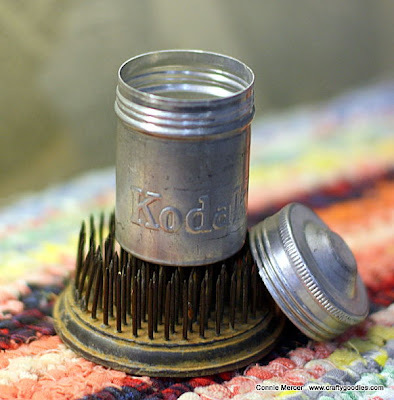 The Kodak canister made me smile. This is one fun collection. Love all the different shapes, colors, and sizes. The tiny green one is my favorite. That sign would be awesome hanging on the door to my creative space...my fort. Love the Kodak film can. I bet Bob has one on the entertainment center! 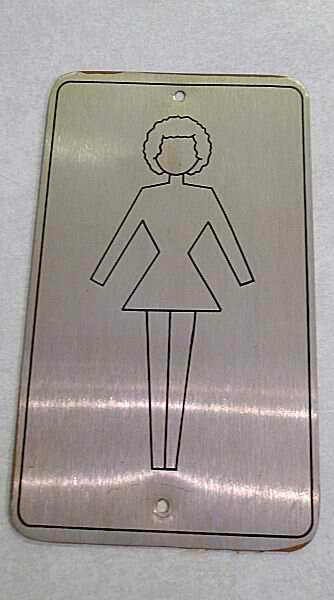 Also like the Ladies Room sign. Happy Mother's Day Connie. You'd love Bob's collection of memorabilia!